Believe it or not, awards are not a recent invention. Although the word “trophy” was derived from ancient Greek, the concept is probably even older than that. These items used to be delivered mainly in honor of victorious battles, but today they are used to celebrate almost any achievement. You can even get personalized trophies near San Jose to celebrate the personal victories of friends, family and co-workers. If you’ve ever wondered how these decorations have developed over time, take a look at the history of these prestigious accolades. Long ago, trophies were used to celebrate victories of war. Some of these decorations were made to honor the dead, while others were more barbaric. Eventually, the concept of the award was transformed into a physical representation of spectacular physical feat, such as the laurel wreaths bestowed upon winners of the Olympic Games in ancient Greece. It wouldn’t be long before cup trophies, chalices and medals would become a new standard for sporting events. Over time, it became easier and more affordable to create and offer trophies. Thanks to modern technology and inventions such as plastic, it was suddenly feasible to create an award for just about anything. Whereas this honor was once only bestowed upon warriors and physically impressive athletes in the form of sports awards, it quickly became possible to offer accolades such as corporate awards. 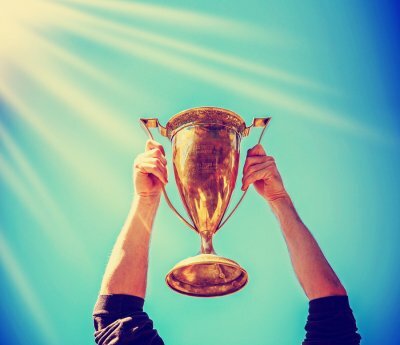 Personalized trophies were no longer limited in scope, and had become accepted as a legitimate means of celebrating just about any achievement. Today, personalized trophies are used to recognize the extraordinary efforts of just about anybody. For instance, the Oscars recognize excellence in filmmaking while the Nobel Peace Prize recognizes efforts to make the world a better place. There are many different types of award on the market today, making it possible to offer recognition for just about any achievement. Whether big or small, simple or extravagant, the trophy has changed the world just as much as the world has changed the trophy.